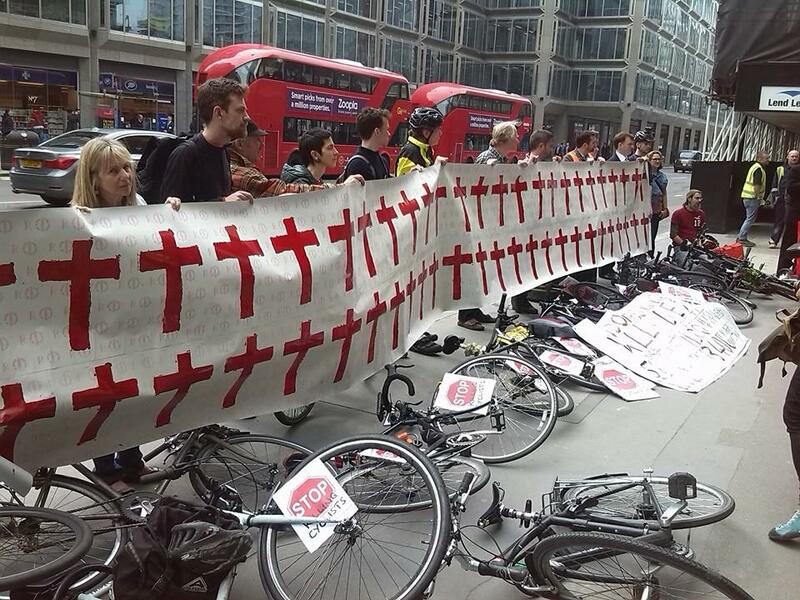 Person riding a bicycle killed by HGV at Ludgate Circus. 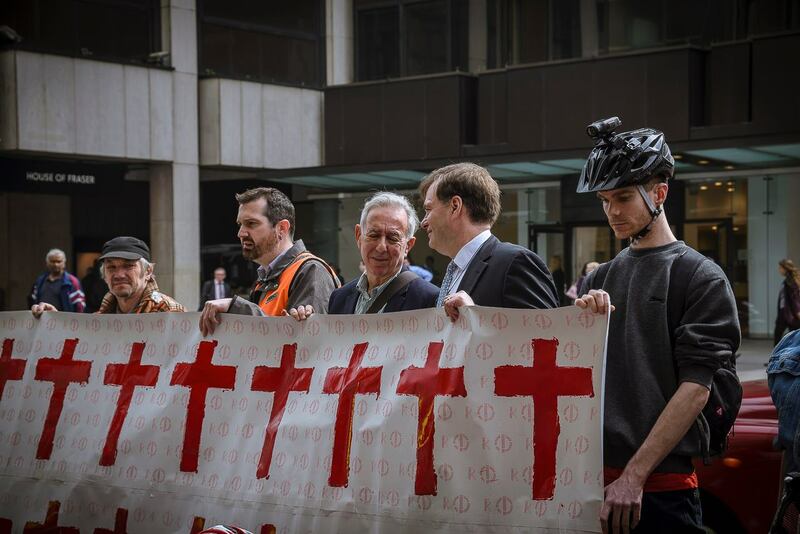 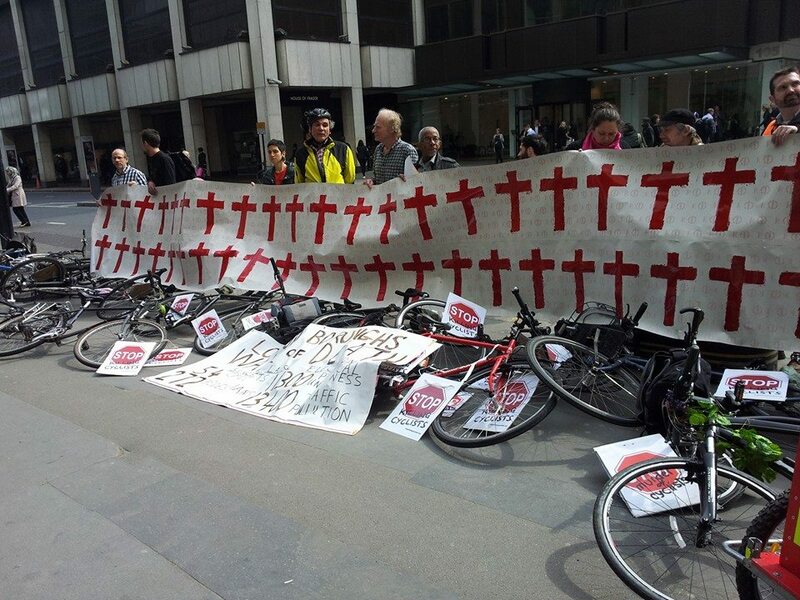 We’d like to take a moment, before continuing with this piece about our protest of Wednesday 2nd April, to mention this tragic event, and share our condolences, as we believe it is intrinsically tied to the need for properly segregated infrastructure and better designed junctions. 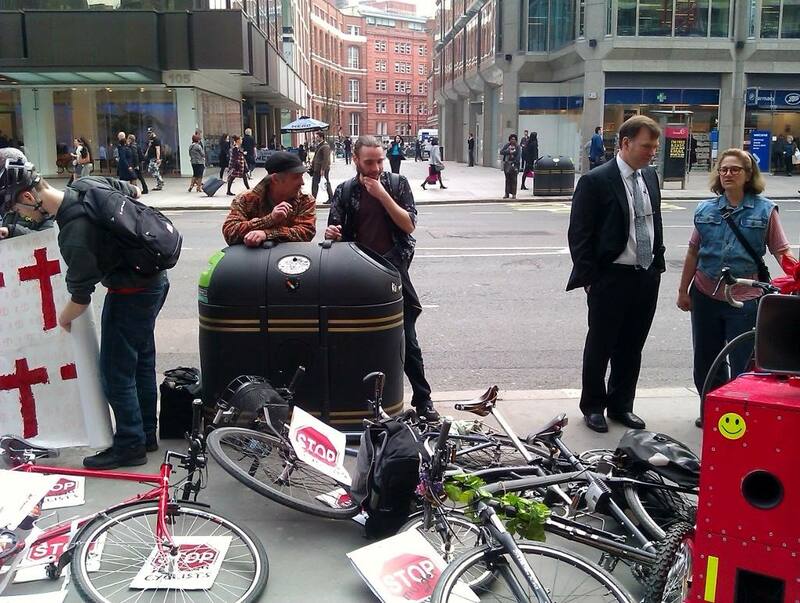 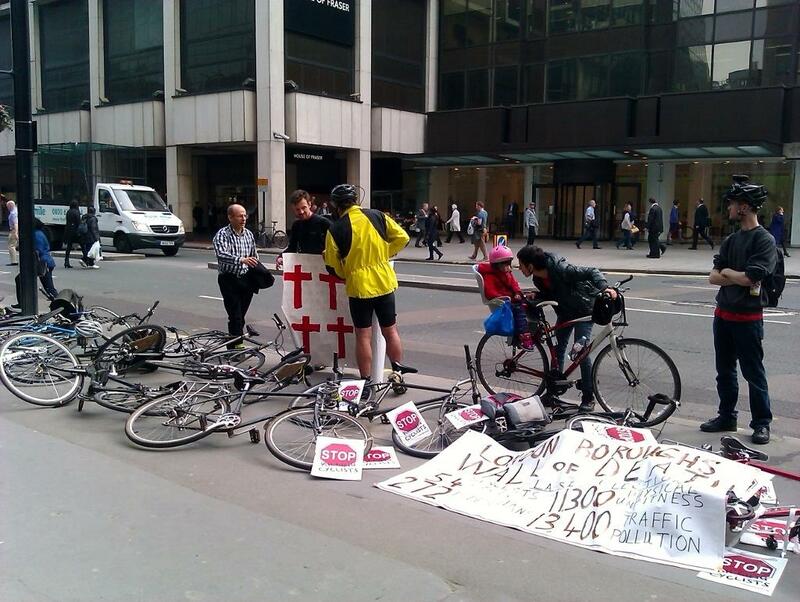 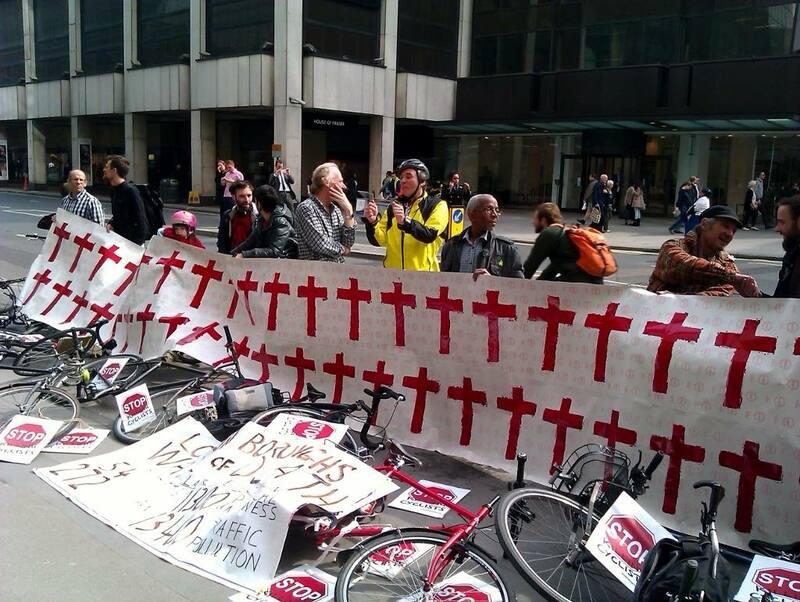 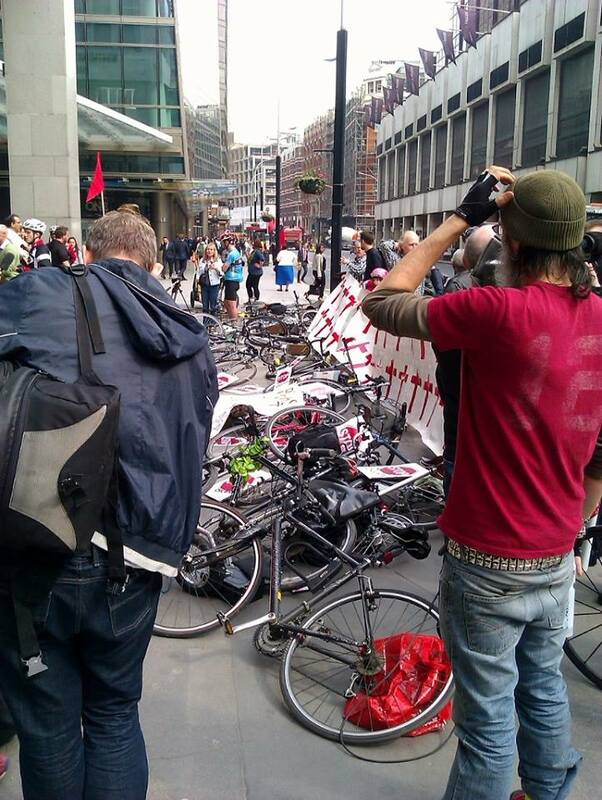 Sadly, on the morning following the protest, a cyclist was killed by a left-turning HGV at Ludgate Circus, in the City Of London. 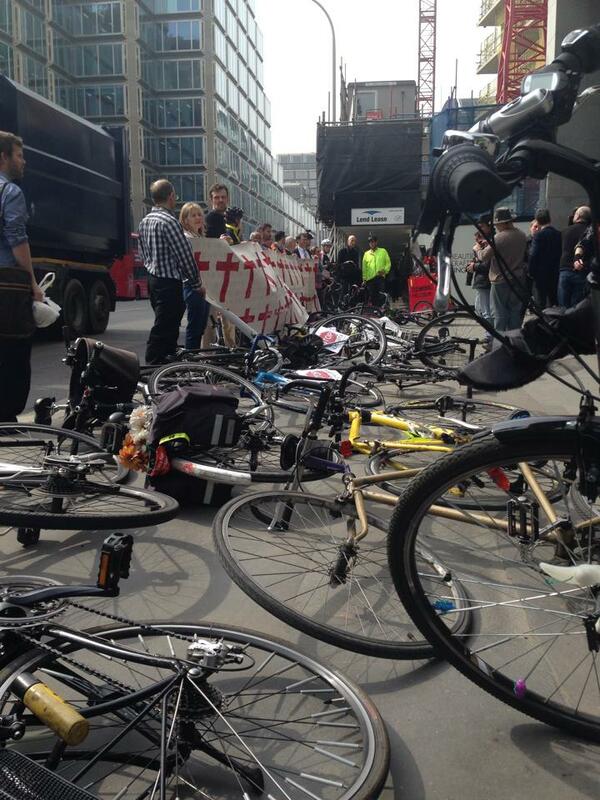 The company that owns the tipper truck involved is Squibb Group, who have expressed their sympathies. 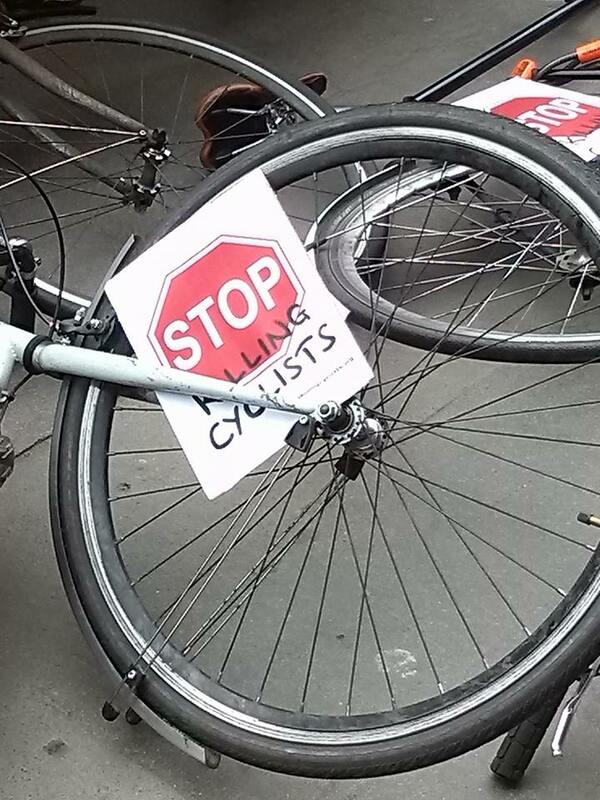 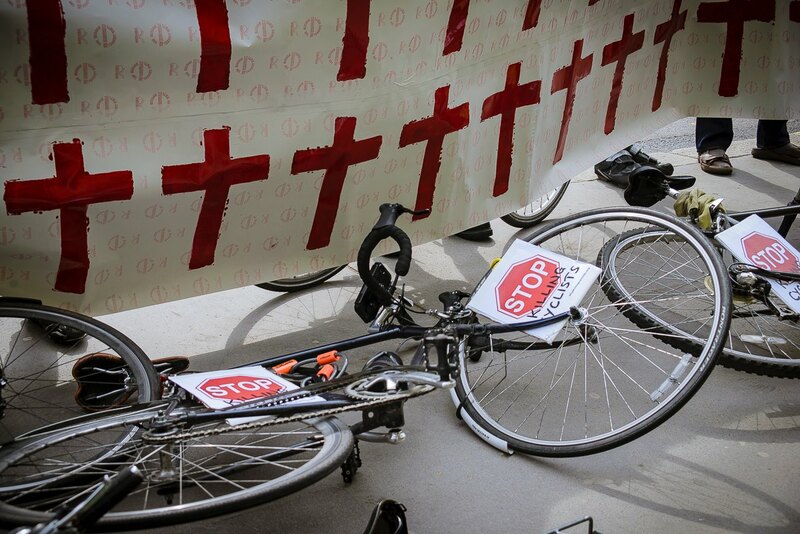 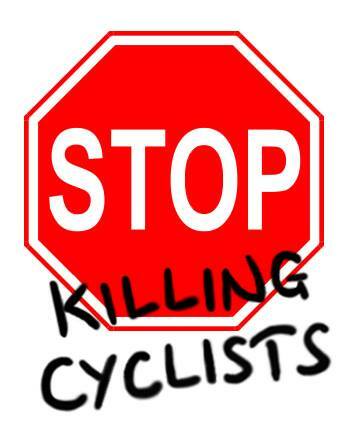 Stop Killing Cyclists extend their deepest condolences to the family and friends of the victim, may he rest in peace. 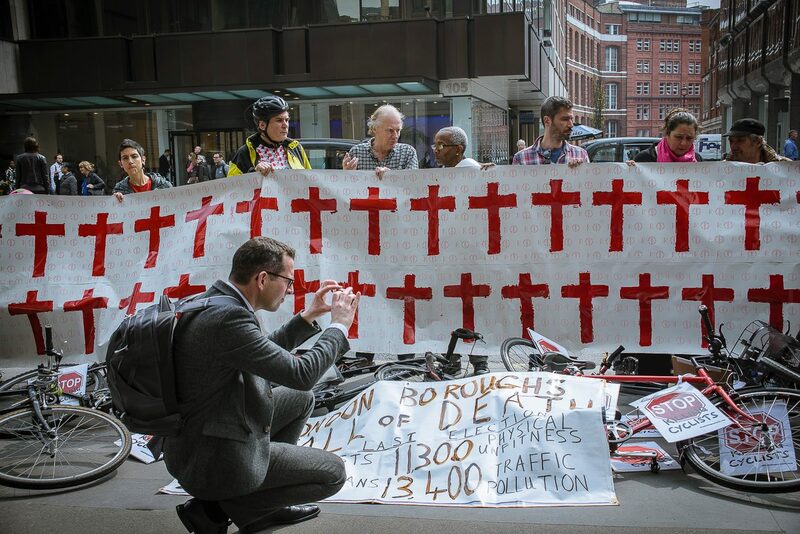 This junction featured on TfL’s original list of 100 junctions which it planned to overhaul following safety concerns but TfL subsequently revised the list to 33 junctions and dropped Ludgate Circus from it. 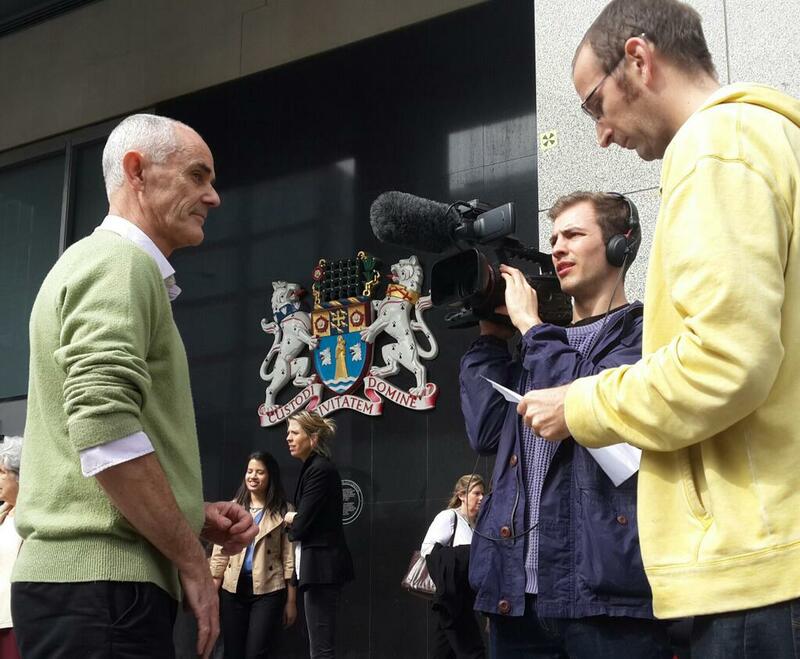 FOI Questions Asked and Answers. 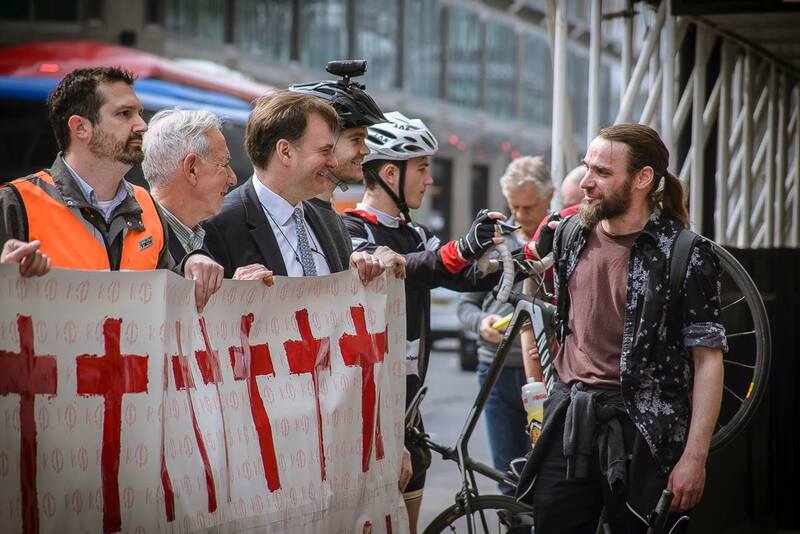 Video & pictures: scroll down! 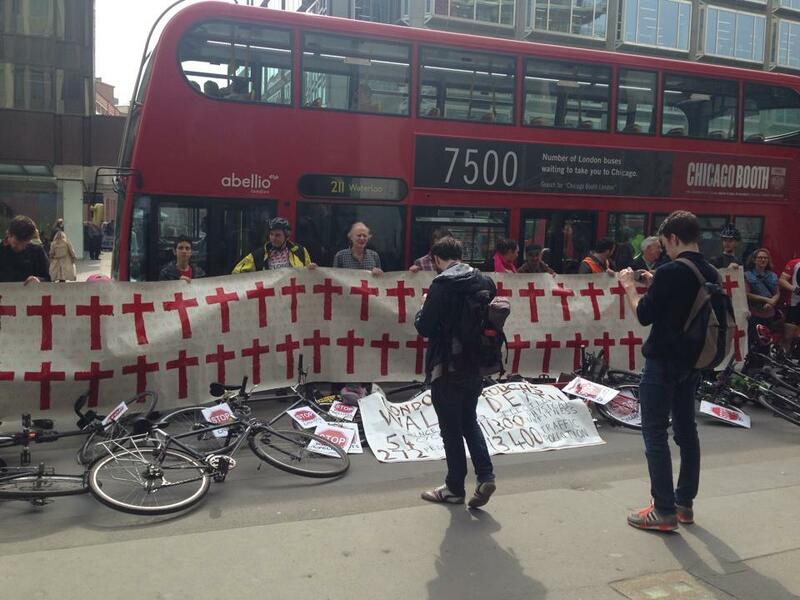 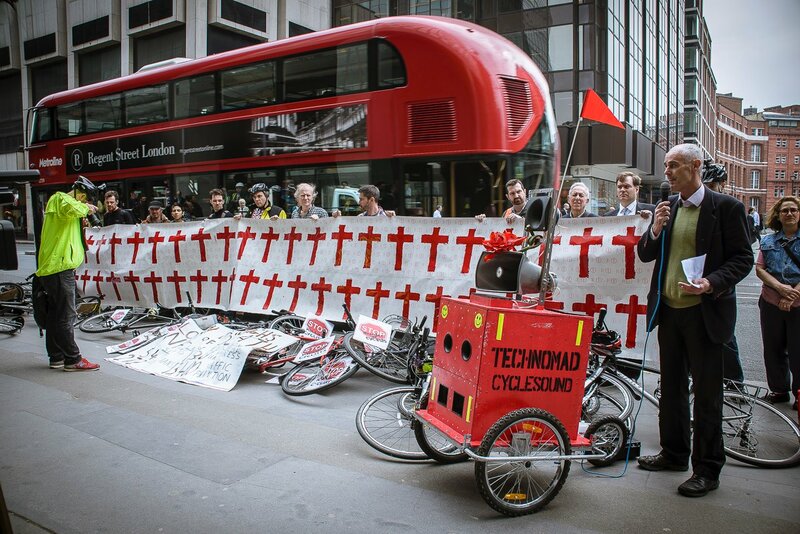 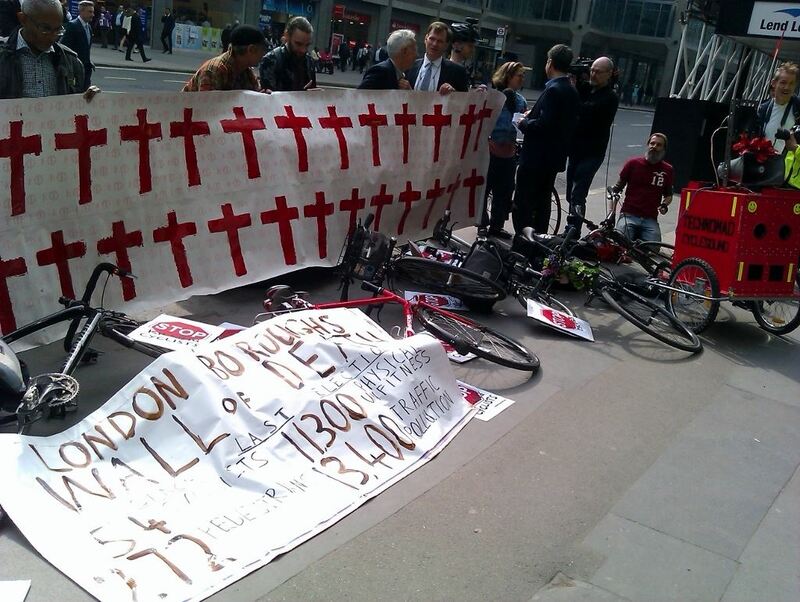 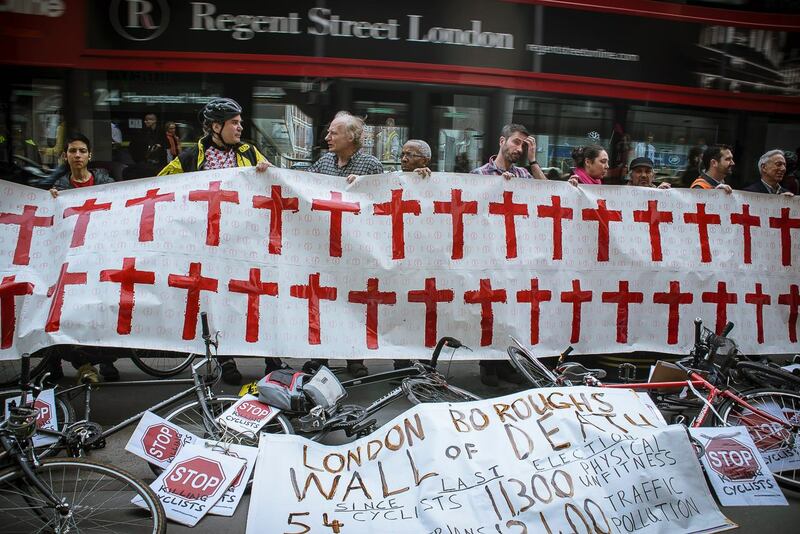 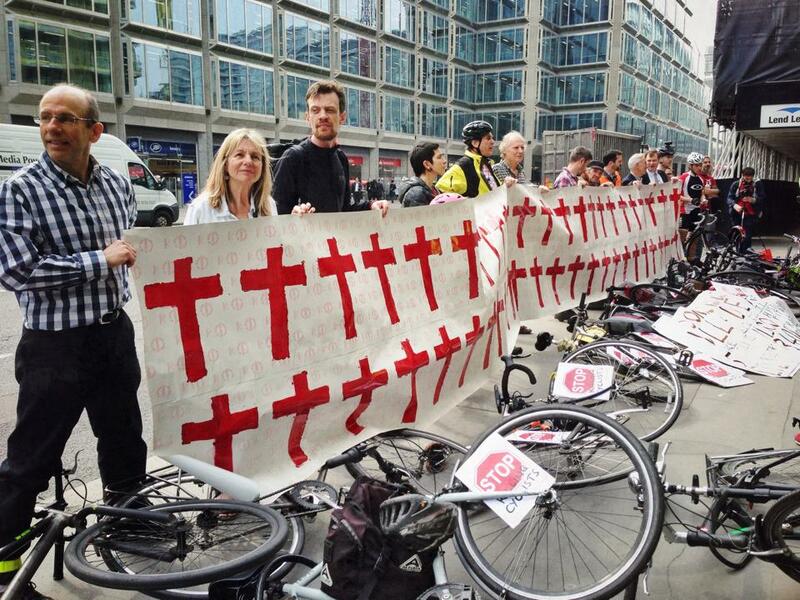 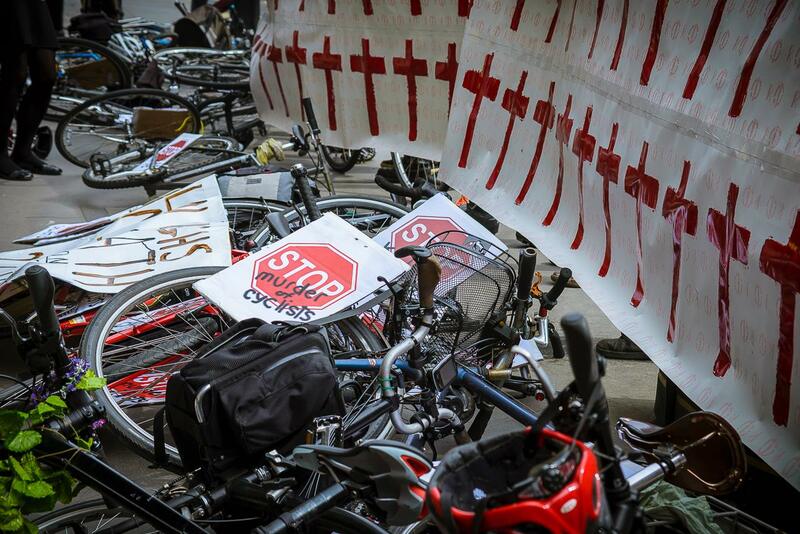 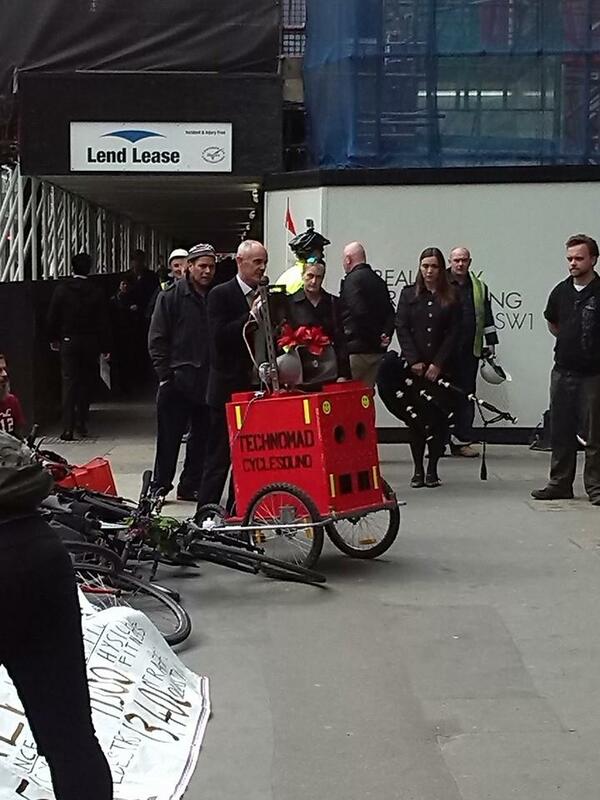 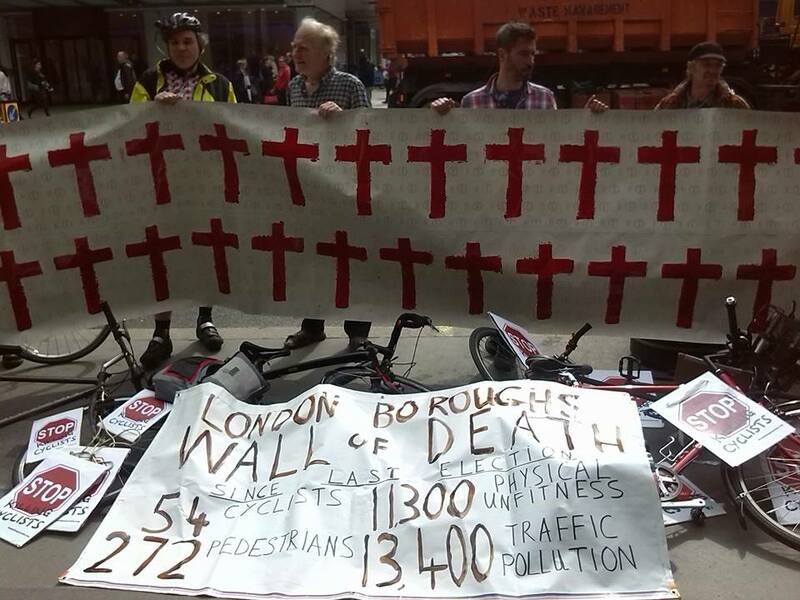 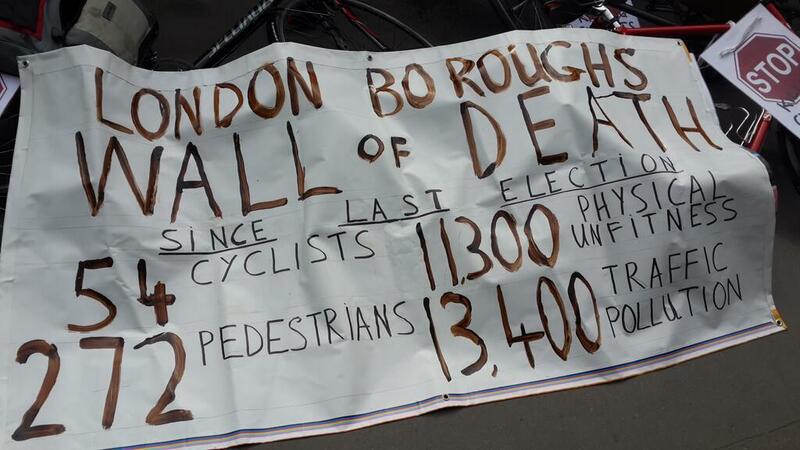 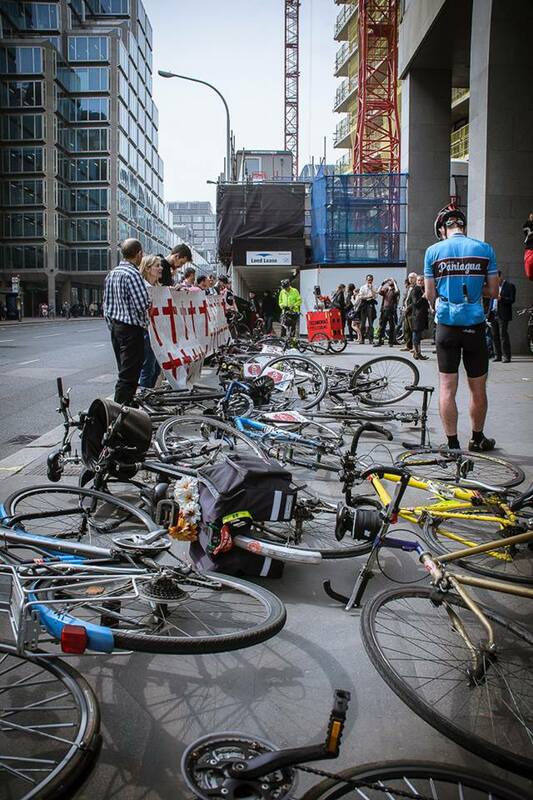 2 April: Wall of Death: 24 London Boroughs installed ZERO segregated cycle-lanes since the last London elections. 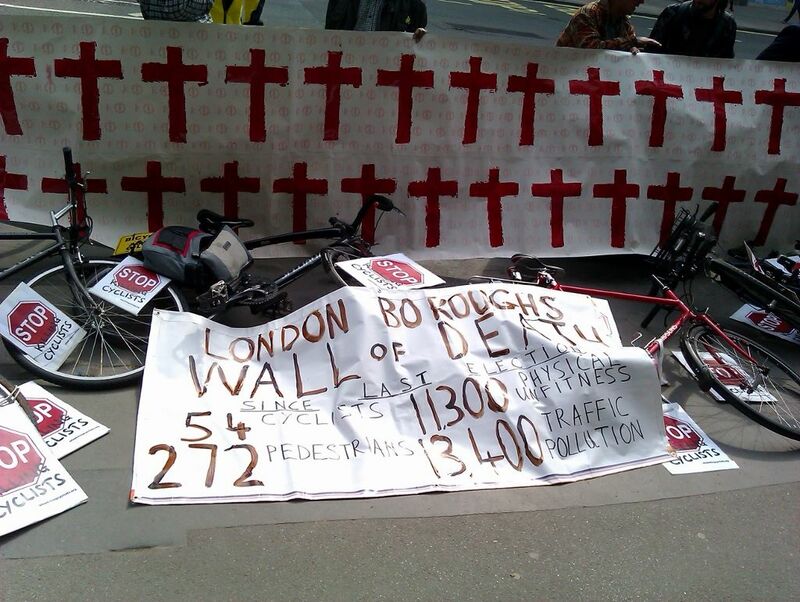 2 April: The London Boroughs: Saving Lives or Saving Pounds? 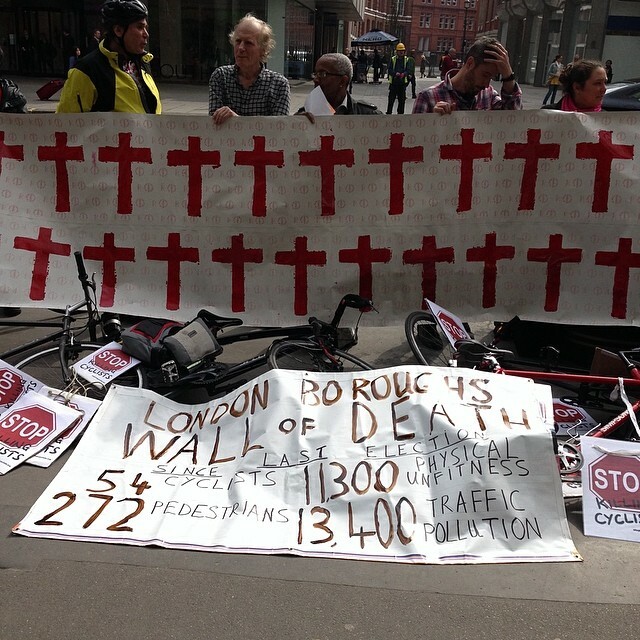 2 April: FOI Questions Asked and Answers. 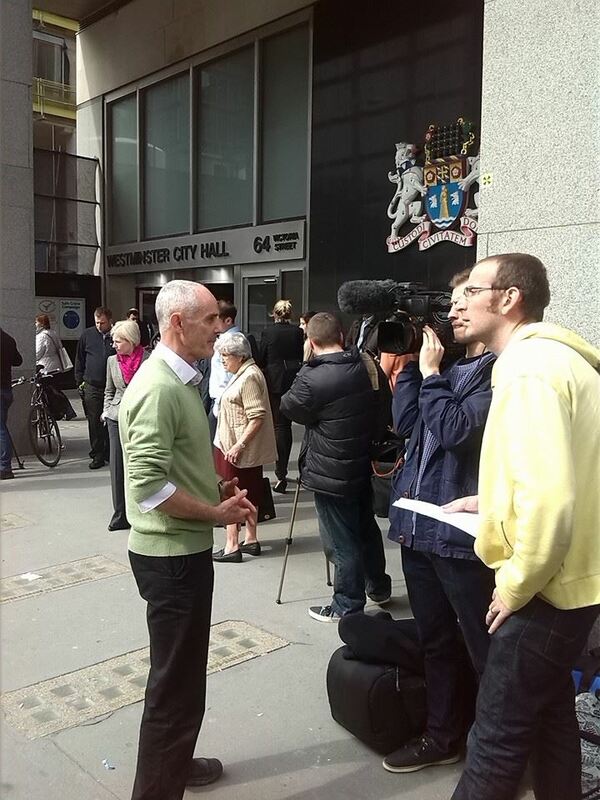 Interview with Steve Routley by Obi (@punctumpie) of Occupy London livestreamers on Bambuser. 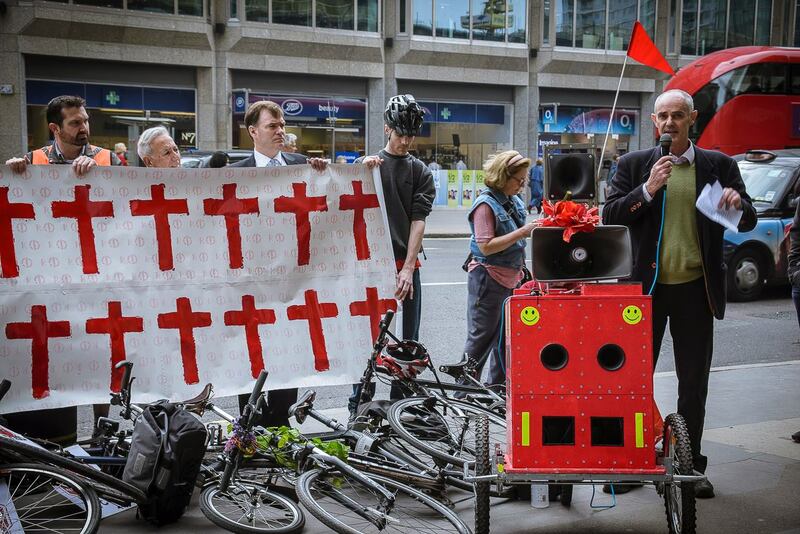 Some of the speeches from the event. 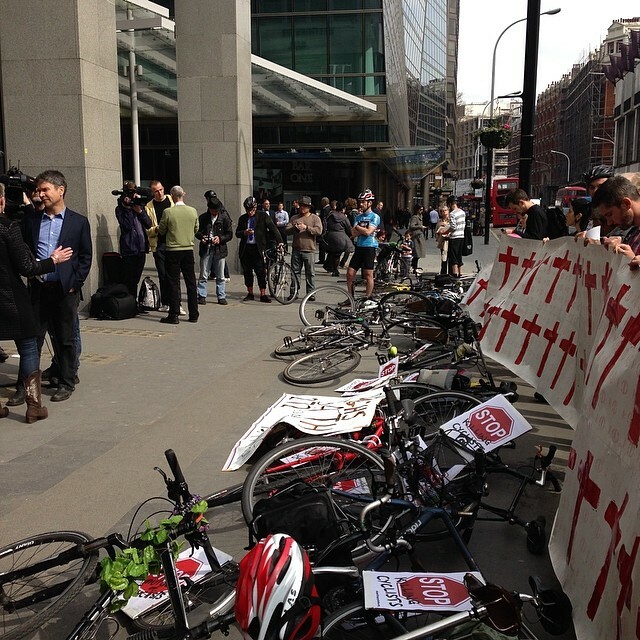 If you have more on video, please get in touch so they can be embedded here. 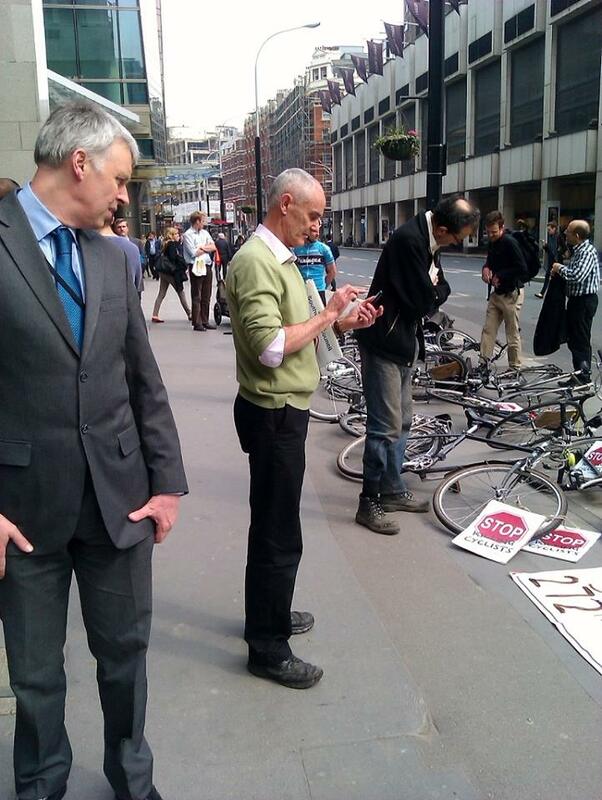 Our thanks to the various people who took photos and videos at the event. 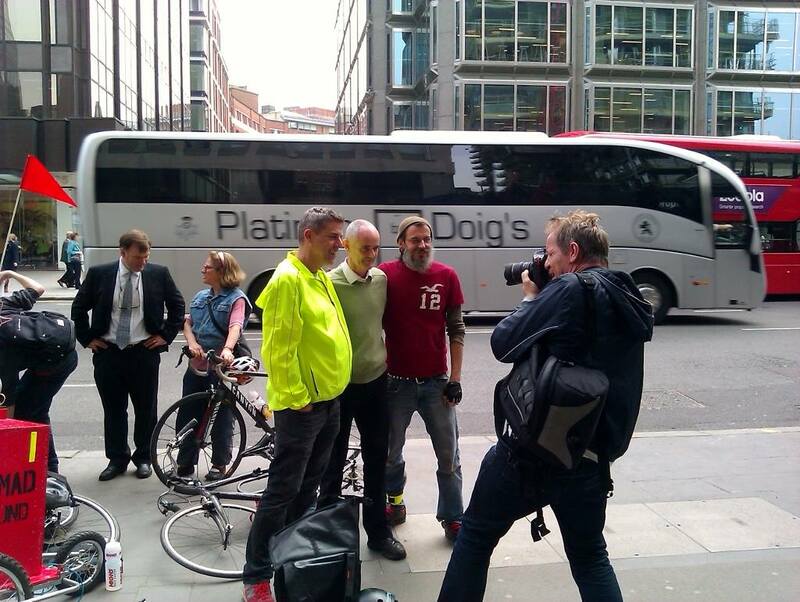 We have done our best to credit the photos correctly, please let us know if we haven’t got it right.